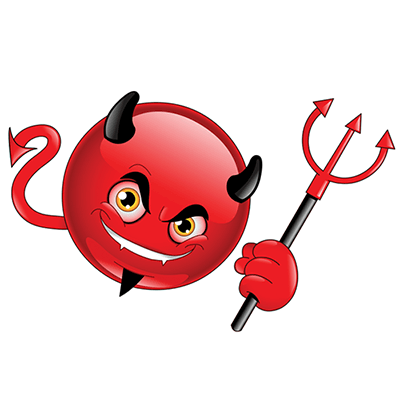 Be a little devil with this super emoticon. Whether you’re feeling naughty or heading out for a devilish good night on the town, this mischievous smiley is certainly plotting something up his evil little sleeve. When you want to express similar feelings, this smiley can help you reveal everything on your mind—even when you’re up to no good! 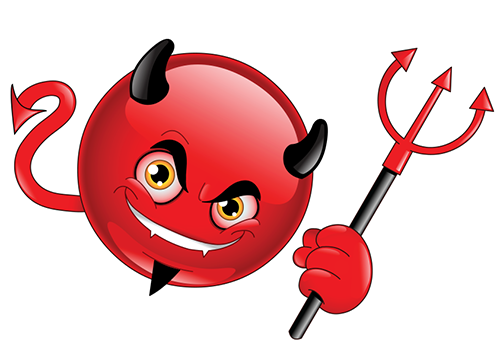 Copy and paste the emoticon code to add some devilish naughtiness to your Facebook chat.